The image spans half of one degree. It shows the comet moving in a mostly west and slightly south direction. (North is 26 degrees to the right of up in the image, and west is 26 degrees downward from directly right.) 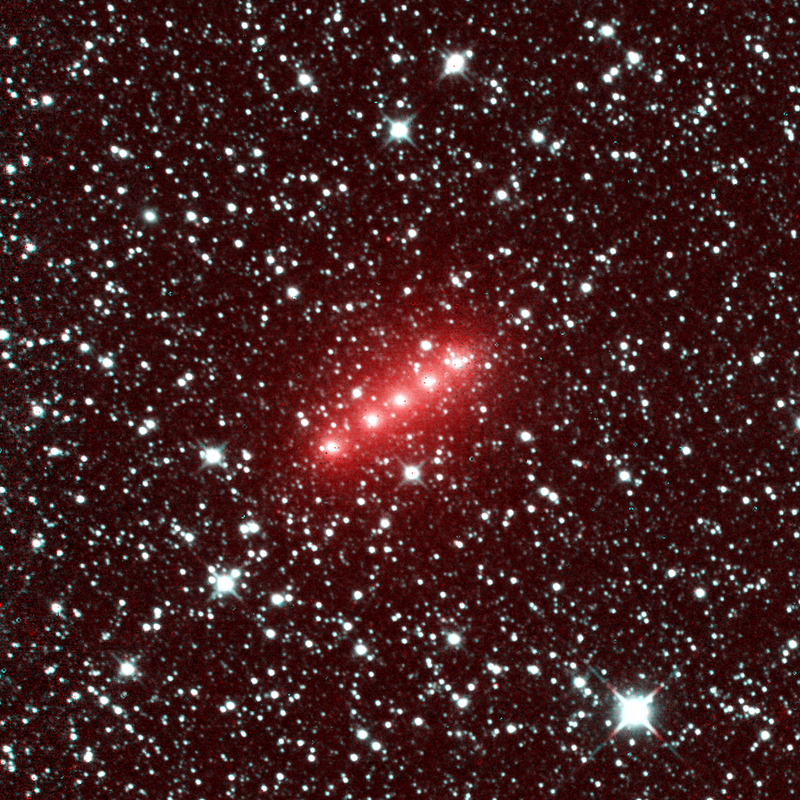 The red color is caused by the strong signal in the NEOWISE 4.6-micron wavelength detector, owing to a combination of gas and dust in the comet’s coma. Comet Lovejoy is the brightest comet in Earth’s sky in early 2015. A chart of its location in the sky during dates in January 2015 is at http://photojournal.jpl.nasa.gov/catalog/PIA19103 . For more information about NEOWISE (the Near-Earth Object Wide-field Survey Explorer), see http://neowise.ipac.caltech.edu/.